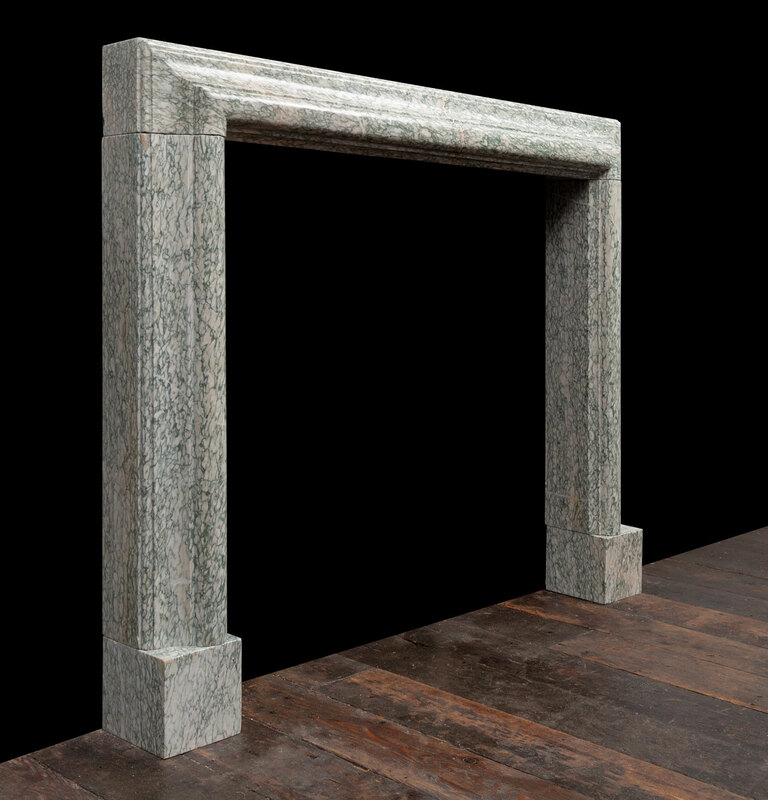 Made from Vert d’Estours marble in the neo Georgian style. 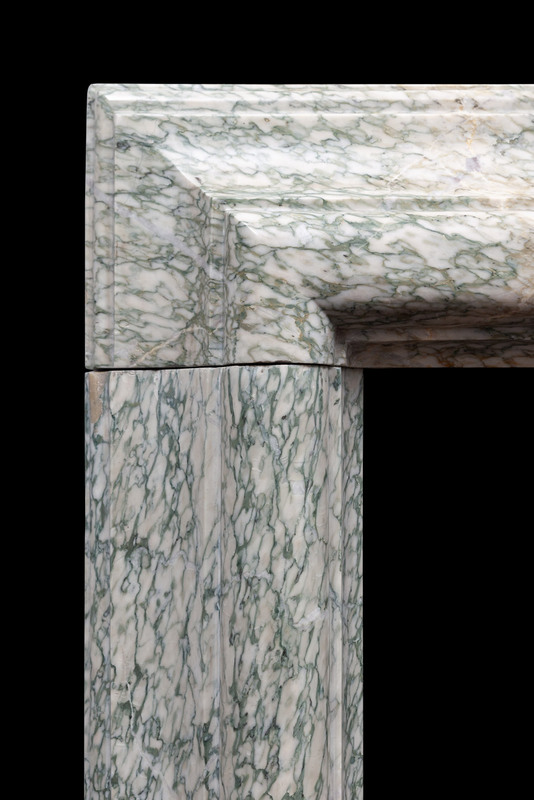 One of a pair of antique bolection fireplaces, removed from the same Edwardian property. Estours is a beautiful valley of the Pyrenees, in Ariège, where marble has been extracted since Antiquity. 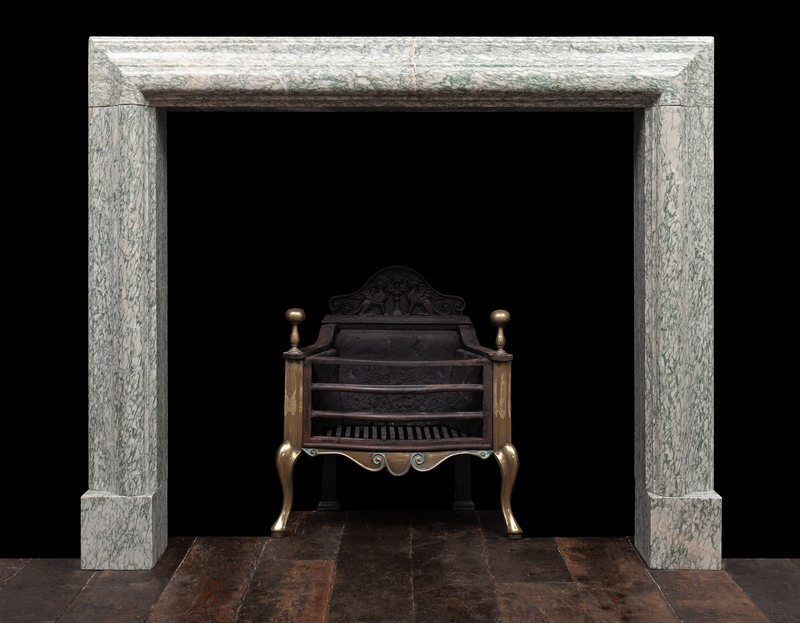 Price: £6,000 (+VAT) for each fireplace.